What do you think of when you hear the word “Christmas”? Snow? Turkey? Family get-togethers? Gifts? Celebrating the birth of Jesus Christ? Decorations? Sleigh Rides? Church? Caroling? Sometimes we don’t stop and think about what it would be like to celebrate Christmas in a different country, on a different continent. In Cecile’s Christmas Miracle, my main character, Cecile, is spending her first Christmas in the Kalahari Desert in southern Africa. There is no snow. In fact, the temperature is hovering in the high 30 degree range (Celsius). She is hot, and sweaty and dealing with bugs and poverty and corruption. There is no air conditioning. There is no turkey, or family to get together with, or decorations. Obviously, without snow, there are no sleigh rides, and many of the Christmas songs she grew up singing don’t fit. Well, maybe I’m Dreaming of a White Christmas does. Although the people she serves have strong beliefs, most of them don’t believe in Jesus Christ because they’ve never had the opportunity to hear about His birth, life and death. They have no Bibles. In fact, many of them don’t know how to read. Here in North America, it’s easy to lose sight of the real reason we celebrate Christmas. Often we get caught up in the commercialism of pretty wrapping paper, exquisite decorations, expensive gifts, and lavish meals. There is nothing wrong with any of these things. However, we need to remember who and why we’re celebrating. Jesus Christ, the God-man was born in a humble cattle shed and laid in a manger. He left the splendor of Heaven and laid aside His rights to take on the form of a servant. He walked this earth, ministered to people, and lived a sinless life. Then, He chose to walk the road to Calvary where He willingly gave His life as the Lamb of God. He took my place and yours on the cross. He accepted our punishment so that we can have a personal relationship with God. Then He rose again. Some day He’s coming back to earth to gather all who believe in and follow Him so that we can spend eternity together in Heaven. It’s my hope that Cecile’s Christmas Miracle will show you what it’s like to celebrate Christmas in a different country. It’s also my hope that you will remember people you know who are overseas, whether in the military, as missionaries, or for work. Make time to send them a care package, or schedule a Skype visit with them. Better yet, go visit them and take a “walk in their shoes”. The first Christmas was about giving. Will you follow in Jesus’ footsteps and give what you can to make the lives of others better? 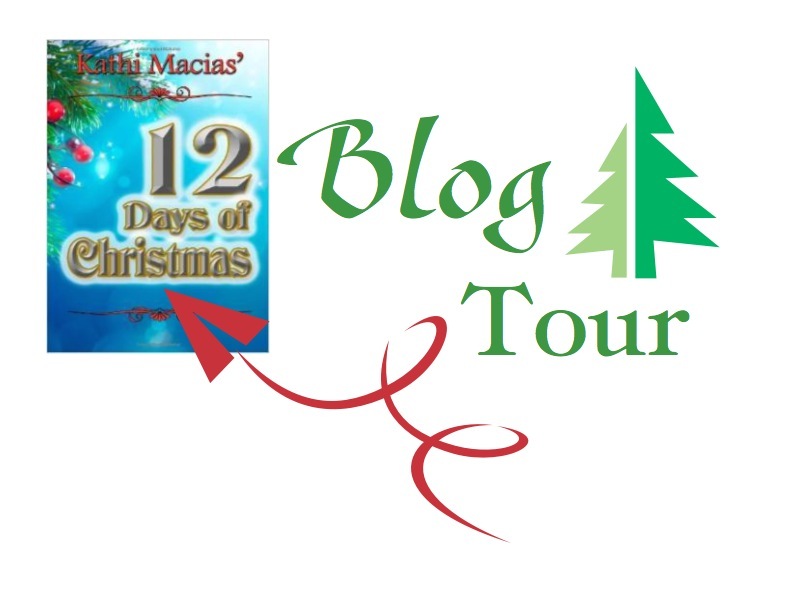 Enter a comment below for your chance to win a free paperback copy of the Kathi Macias 12 Days of Christmas. I will be making the draw on Thursday, May 29th and will announce the winner on my Facebook Author Page at https://www.facebook.com/AuthorRuthL.Snyder. NOTE: You must be 18 years or older to participate in the draw. I wasn’t expecting a Christmas blog in May. What a delight and reminder. Thanks for the opportunity to win a copy of the book and for the challenge to think of those abroad during the Christmas season. It’s kind of fun doing a Christmas blog at a different time of the year. I’m glad you enjoyed it 🙂 I’m happy to add your name to the draw. By the way, the temperature still isn’t warm enough to emulate Christmas in the Kalahari Desert, but it’s getting close. Interesting concept! We don’t stop to think about Christmas being in the Summer below the equator! Sounds like a “fun” read! Where I live” I think of Christmas with cold and snow, but it’s much more logical to think of Christmas in the desert atmosphere. After visiting Israel, I think differently about most all of the Biblical events. But mostly, I think of Christmas as a family and faith event, which could be anywhere for me!! Thanks for sharing your perspective. I agree, if Christmas is about faith and family, it doesn’t matter where we celebrate 🙂 A visit to Israel is on my bucket list! I’ve added your name to the draw. Thanks for sharing.This made me do some thinking and my thought is,we should treat every day of the year as Christmas.We should celebrate in our heart what Christmas really is,we should give of our heart everyday,it doesn’t have to be material gifts,it could be a smile to someone who needs it,a hug,a hello,a call or visit to someone,and etc.We should not just celebrate Christmas one day of the year,but everyday.Thanks again for making me think about this and show me just what I need to do everyday.I would love to read this book. I sure enjoyed your Christmas story, Ruth. I could use some of that desert heat to warm up again! Lol 🙂 You and me both, but probably not every day! Thanks for letting me know that you enjoyed my story. Your name has been entered in the draw. Ruth – may your story reach beyond the borders of your hometown, may its word seeds drop into fertile soul soil and grow beyond the limited expression of words to blossom into something beautiful for the kingdom. Thanks for your encouragement, prayer, and support. I appreciate you 🙂 Maybe your name will be drawn for the free copy? Your story sounds like the perfect one to settle down with in the middle of summer here in NC. I dislike how commercialized Christmas has become. We celebrate Jesus’s birth!